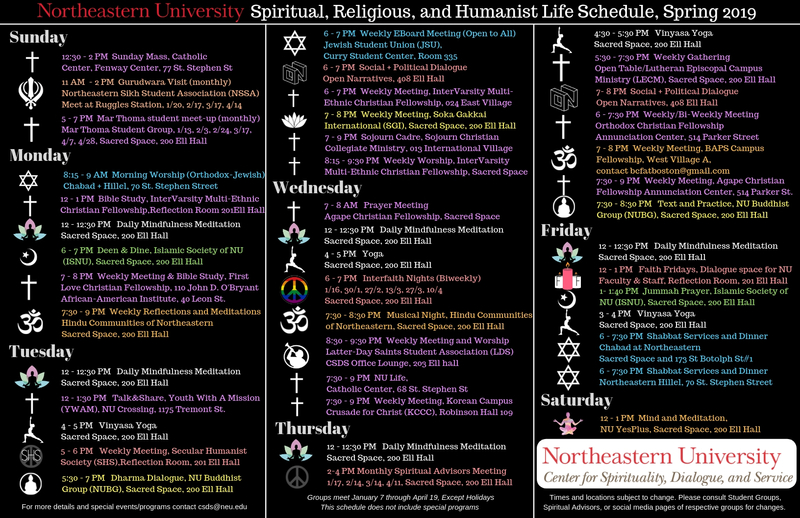 The Center for Spirituality, Dialogue, and Service serves a vibrant and diverse community of religious, spiritual, and humanist groups that meet regularly on campus. The Center hosts events in the Sacred Space and Reflection Room, including guided meditation sessions, yoga classes, interfaith dinner dialogues, community service/social action projects, sacred seasons and holiday observances, and more. All the sessions are free. Discover the events and programs here, and visit us on Facebook, Twitter, and Instagram.